If you’ve seen a MMA event in Chicago or Indiana, chances are you’ve seen one trained by Steve Colon. He’s cornered some of the areas top pro and amateur fighters, including Darren Elkins, Lloyd Carter, Belal Muhammad, Lance Surma and many more. 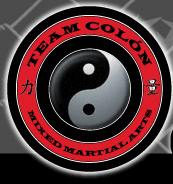 Colon’s Mixed Martial Arts offers wrestling and BJJ classes for both adults and children, and features a MMA training class for adults. Beginner MMA classes are designed to introduce you to the basic techniques that will prepare you to move on to the next level of fighting. This class will help build your confidence, get you in shape, and give you the awareness whether it is a street fight or a competition. This class will allow you to learn the basics of Wrestling, Kick Boxing and Jiu-Jitsu. Advanced MMA classes are designed to prepare you to fight in the cage/ring. This class consists of all experienced fighters. It is mandatory that you go through the Beginner’s class before you move on to the Advanced class. The intensity of the advanced class is at a very high level. This class is designed for fighters only. Our Head Jiu-Jitsu instructor has trained under the tutelage Grandmaster Carlson Gracie. He is a Jiu-Jitsu champion and has trained Brazilian Jiu-Jitsu to top fighters in the UFC and WEC. You will not find a better Jiu- Jitsu instructor in the area. We offer BJJ classes for any skill level, including beginner Jiu-Jitsu classes and Gi and No-Gi classes. Our facility has a large amount of mat space to accommodate any size Brazilian Jiu-Jitsu class. Cardio classes are designed to help you get in shape, lose weight, burn off energy, gain flexibility, and learn some basic Kickboxing. Grappling class allows you to train strictly on ground techniques. It gives you an opportunity to work on your Wrestling and Jiu-Jitsu. You will be able to drill your techniques and participate in live submission grappling. Private lessons are designed for individuals that want to focus on getting one on one training from an instructor. This time allows you to work on your strengths and weaknesses without distractions from other students. These lessons are also by appointment only.